4weed is a Italian label/netlabel, which has appeared on our site several times. This time they have released 12” loaded with a seriously heavyweight dub. 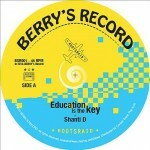 All of this due to Rootikal Dub Foundation, who serve us amazing steppers “It’s time to change” with beautiful saxophone’s part, additionally MrDill Lion Warriah appears on the vocal, ideally fitting into the track with great lyrics. Also we get a dub version by 4weed All Stars, which gives us a lot of kickin’ bass and transports us to a soundsystem arena. The release is complemented by El Nadie from Turin, who created addictive melody and when the bass comes into the play we feel huge potential of this steppers. The dub version is a top-of-the-line mystique and heavyweight climate! Half a year after the last release by Inspirational Sound they deign us with four new, heavy tracks. 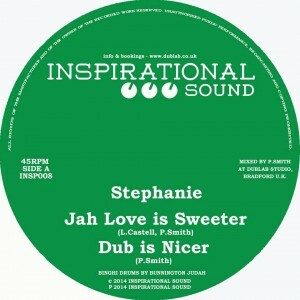 The A side is ruled by Stephanie already known from Dub Lab studio productions, who sings about love to The Almighty One, and the dub version deepens the meditative state. The second side belongs to an amazing warrior already known to the dub audience – Dan Man, who perfectly fits Stephanie’s vocals and made it a dj version. Dub of that tune puts emphasis on mystical drums rhythm by Bunnington Judah. 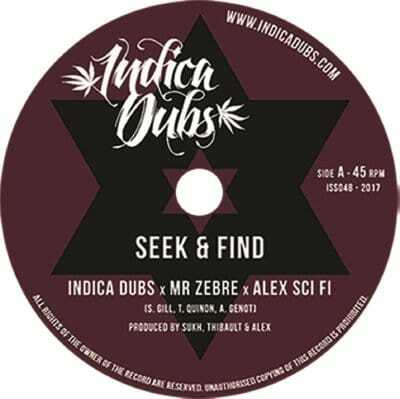 To sum up – Inspirational Sound give us a steppers with tough bass, which will stay in your head for a long time and brings in a meditative trance (especially in “Walk with dub”). 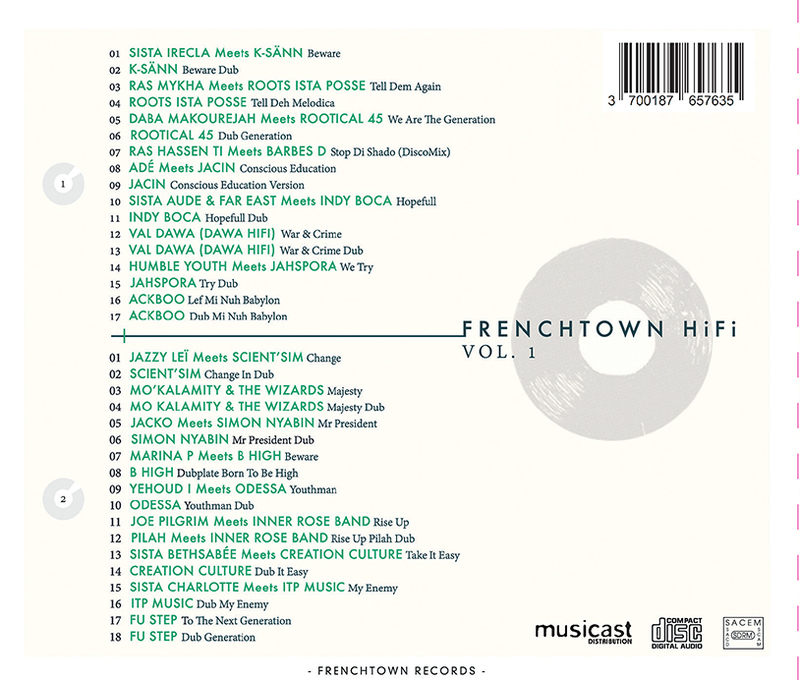 For the first time on two CDs we get amazing, insightful producers and vocalists in 35 tunes, which present the sound system scene condition in France – this is how the massive medley Frenchtown Hi Fi vol 1 is advertised. It’s been a long time since a release such like that, a few years ago there were netlabel albums Italian Dub Community or even our Dub out of Poland, but we have not seen something like that from France or UK recently. The playlist itself made me realize that it’s mandatory release. I remember a lot of similar albums, which disappointed me, but this time it’s different… it’s just a firecracker! The division, which I noticed (but maybe it’s just my taste and loose interpretation) is interesting too: on the first CD i see heavyweight steppers tunes, and the second seems to contain more UK roots/steppers tracks in Twinkle Brothers or Aswad style at their best – so beloved by Jah Shaka. CD 1 is K-Sann, who recently released a heavy album on ODG netlabel, here supported by beautiful voice of Sista Irecla. There are my favorites Roots Ista Posse with Ras Mykha and a killer “Tell Dem Again”, then Daba Makourejah from Rootical 45 calms us down a bit. There is also Barbes D with amazing vocalist Ras Hassen Ti, Jacin with strong tune “Conscious Education”, we also get beautiful horns, melodica and vocal of Sista Auda, Far East and Iny Boca. Val Dawa hits us with a heavy tune and Humble Youth deigns us with beautiful harmony. At the end of the first CD there is Ackboo with great energy, which encourage us to listen to the second part. Here, on the beginning, there is beautiful tune “Change” by Jazzy Lei – you just want to sing Love is Harmony with her. Then you dive into wonderful mood of Mo Kalamity and The Wizards with lovely violin in the background. Jacko and Simon Nyabin confuse me because I thought that it’s Twinke Brothers at their best shape! The next tunes are solid productions with upscale vocalists – Marina P doesn’t need to be introduced, Yehoud I is a revelation of the last year, especially on “Likkle zion” and Joe Pilgrim proves his unusual talent. We have to add few more to the bunch: Sista Bethsabee with Creation Culture stepped into digital reggae climate and Sista Charlote with ITP Music present us best UK dub style. On the end there is Fu – Steps known from ODG netlabel releases. To sum up, it’s a great medley which can be listened without end. Most of the tunes got their dub versions on the highest level, which made this album complete. Listen to the French dub, it’s really worth! I think there is no need of a wide presentation of those artists – Cultural Warriors are Swiss who destroyed many dance floors all over the Europe with their remixes and dubplates, Krs One is a living hip-hop legend. It’s not often for the soundsystem environment to cooperate and produce with the hip-hop one, but when it comes to it, it must be a banger. 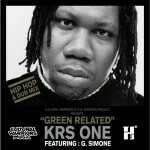 The single “Green Related” contains 5 tunes: two hip-hop versions, two stepper ones and one reggae-hip-hop. On the vocal versions we can hear Krs One rhyming about militant Swiss from Geneva, in the dub version Lion Paw (one of the producers from Cultural Warriors) confirms that he is talented by amazingly connecting steppers with a heavy beat, reverbs and a rumbling bass. I hope that Cultural Warriors will release more things like that – with a conscious message and highest musical level. Roots Raid is French-based duo of Natty ODG and Bongo Ben. 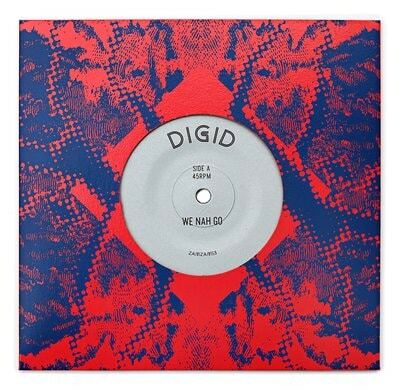 Their brand new 7” is available now, issued by Berry’s Record and distributed via Control Tower. The release is a tribute to Junior Murvin – Shanti D sings in his style and gives us always actual message about self-education. Musically we got solid steppers with strong rhythm, filled mainly with percussions and drum sounds, crossed somewhere with some crazy synths or melodica. 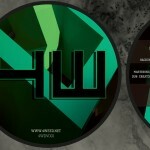 N ew 12” released by Italian label Tamrat Records is a nice steppers style roller with soft sound, played by Bass Culture Players from Madrid. 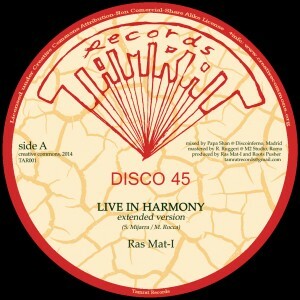 The tune is voiced by Ras Mat-I, who already has several tunes on the market, (his 12” with Jah Free will be available soon). “Live in harmony” contains 3 versions – in addition to vocal one we have instrumental with saxophone (played by Indi) and pure dub.